HOME /Blog /Valentine’s Day gifts for Him and for Her! Valentine’s Day gifts for Him and for Her! You never need to wait for a special occasion to give a gift for you loved one. However, Valentine’s Day is the time when choosing gifts can become stressful. How to find the right piece that will blow Her mind and make this year Valentine’s memories last a life time? UGEARS team has a solution for you! Our unique mechanical sets are just what you’ve been looking for! UGEARS assemble models are not just elegant and unique, they are true masterpieces. With an exquisite designs and delicate and romantic appearance not only they are a perfect statement of your true feelings, but also something that’ll bring you closer as you and your sweetheart work together on assembling. 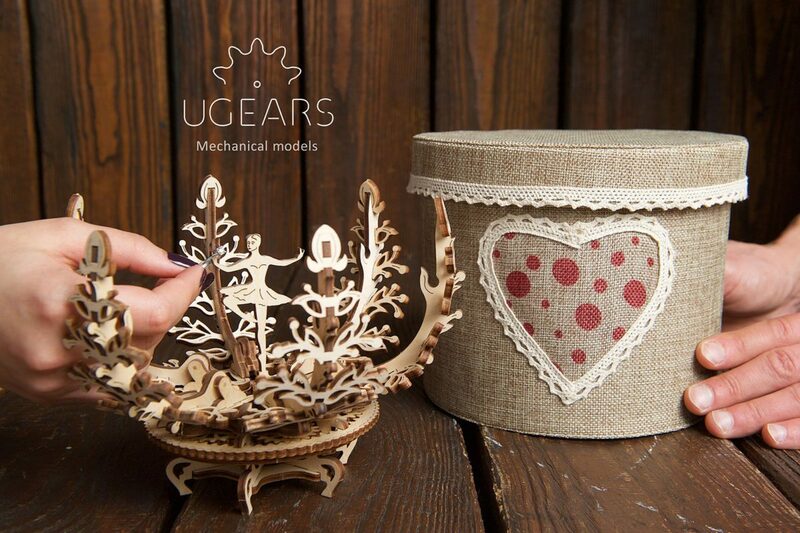 UGEARS gift selection offers items that will be appreciated by Him or Her. Most men enjoy gifts that are useful as they are thoughtful. Classic cars models, complex and sophisticated mechanism, train models and even the tiny miniatures of entire factory! All these items make perfect and memorable gifts for Him simply because they are appealing to masculine nature and adventurous spirit of the men. Because our gifts are actual assemble models they add a personal touch to each of them offering hours of working with hands putting them together. Such pieces of innovative gifts crafted form high-quality wood can become a handsome addition to his collection or an eye catching tabletop accessory. There are endless ways to say “I love your” and if you are at a loss of words, choose one of UGEARS models to express your true feelings for Her. Our inventory offers sophisticated gifts such as mechanical jewelry boxes, elegant desktop items and intelligent mechanical toys. 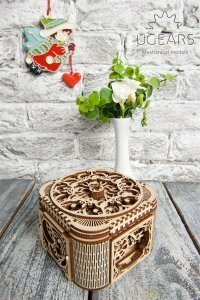 Give a gift from heart with UGEARS Treasure Box or Mechanical Flower; both could could be given as a gift by itself, or serve as an authentic way to present a piece of jewelry. Whichever you choose, we guarantee it will warm Her heart! 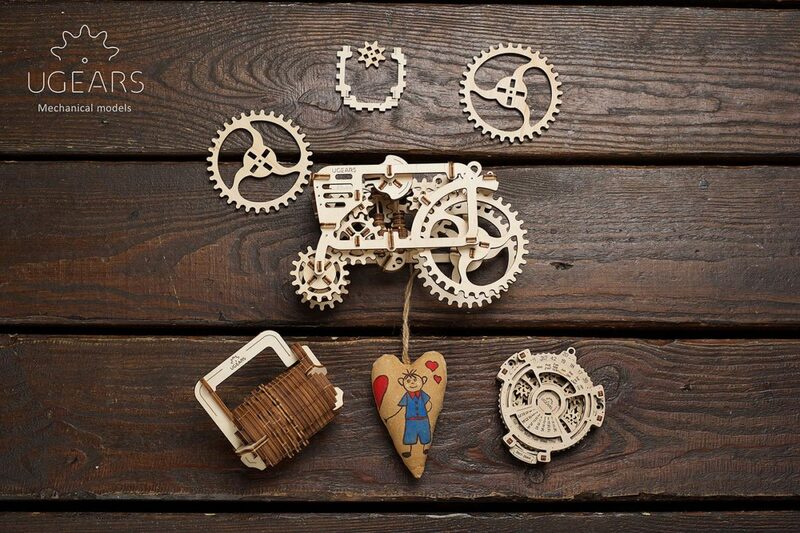 UGEARS wooden sets are not only beautifully crafted items, they also are 3-d puzzles that require assembly. Which makes our models the perfect Valentine’s Day gifts: working on assembling guarantees you spend hours together, growing closer and creating special memories just for the two of you. As the work is done, you can even choose to paint an assembled model in any color your heart desires! Display your gift as a piece of decor on your desk or a shelf and it will be a sweet reminder of pleasant time you spent together. 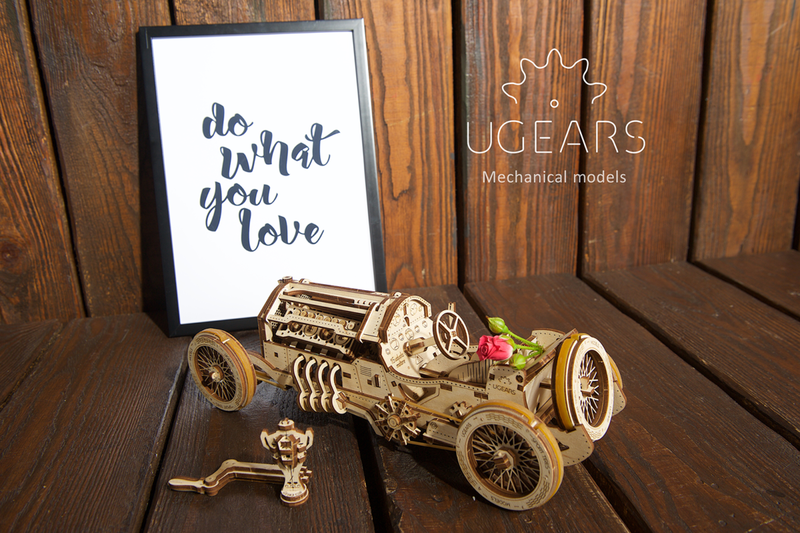 With giving a gift of UGEARS models you can ensure this year Valentine will be a day to remember. All of our models feature mechanical motion: they works like magic with hidden cogwheels, wisps and various gears. You will not need any additional tools or materials, not even a battery to enjoy working on or using our models. All the parts are pre-cut and ready to assemble right there on your kitchen table or in a family room, that makes a process pleasant and enjoyable. Visit our website to learn about all of our models and to choose that special unique gift for your loved one!